The application of micro silica fume is very wide. The most common application is in the concrete construction industry. With the continuous development of the construction industry, high-rise buildings are more and more in the sight of people. 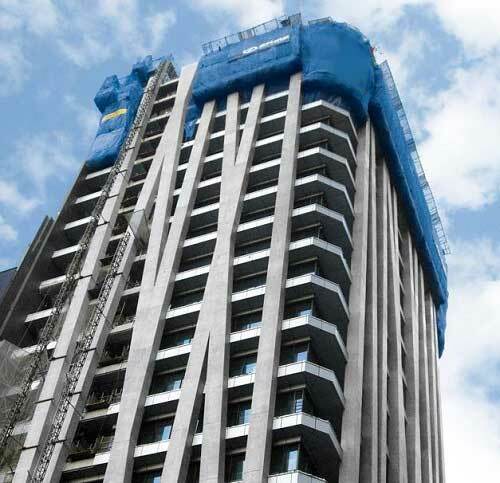 First, micro silicon fume powder can effectively improve the transmission efficiency of super high-rise pumping concrete. Micro silica powder has micro aggregate effect. It can make cement paste more dense, reduce the production of bubbles, and maintain the pressure of pumping pipeline. Two, improve the concrete flowability, promoting mortar and aggregate mixing in concrete, because the microsilica particles diameter substantially less than one micron, so that lubricates, can reduce the friction of the inner wall of the pipe, greatly reduce the plugging risk during pumping. Three, to enhance the early activity of concrete and to shorten the solidification time of concrete, it can provide high strength concrete in the early stage. This has an important impact on the fields of high-rise buildings and water conservancy projects. Four, it can save engineering costs, shorten the construction period and reduce the investment of equipment. The concrete with micro silica fume powder can pump more than 200 meters height at a time, and without adding microsilica powder, it will increase a lot of expenditure.